Do you have an outdated kitchen? Bathroom? Even a desk that you want to upgrade? Here is an easy inexpensive way to upgrade your counter tops! On the market right now there are a few DIY counter top kits. Giani is one of them and Encore is the other. But with retail price at $100-$200 for only 30 sqft, I wanted to find a way to save some money. And I did! 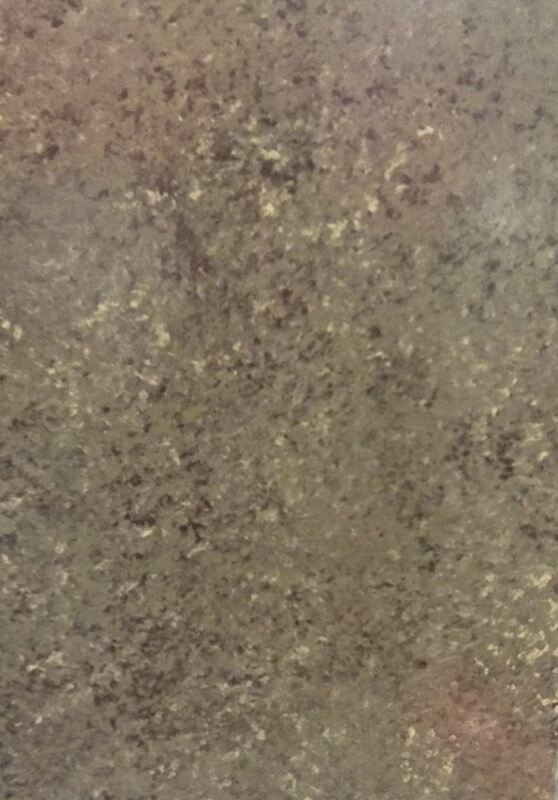 Here is a faux counter top for $120 for 100 sqft! But you could save even more money! Keep reading to find out. Here are the sample boards that I have done. I can’t wait to do this large scale in my basement suite. ***MOST IMPORTANT*** The primer and the top coat are the most important products to this project. It doesn’t really matter what you put in between. 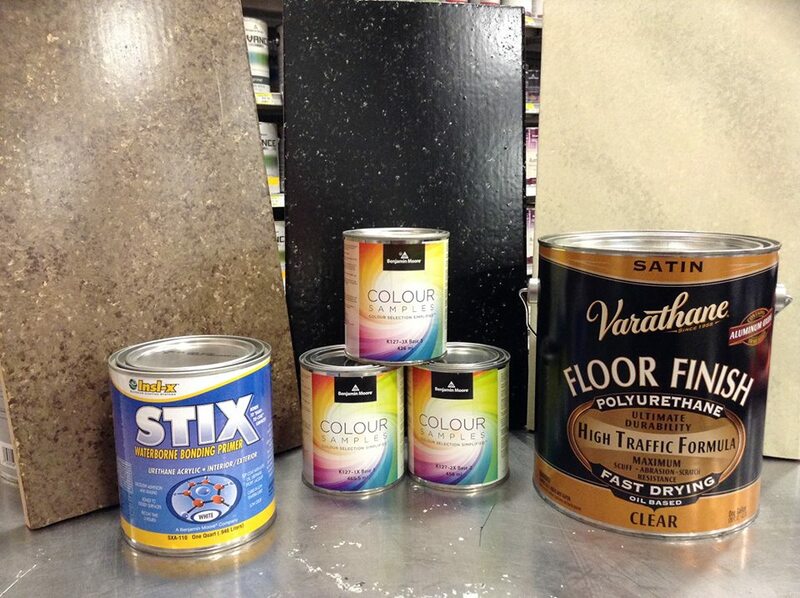 All of these products are available at Fraser Valley Ace Hardware or Benjamin Moore Stores! Step 1: Clean the surface really well with a mixture of TSP and water. It is very important to remove all grease and oils from the surface before applying any coating. Rinse off all TSP really well. Step 2: Tape around entire surface. Whatever you don’t want paint on, cover it up! Make sure to press the edges of the tape down really well. Step 3: Lightly sand the surface. Use the medium side of your sponge, and then sand again using the light sight of the sponge. You are just doing a light sand to buff up the existing sheen just a little. Step 4: Prime the surface. Using your 4″ roller and STIX primer, prime the entire surface. Note: STIX is more of a translucent paint. 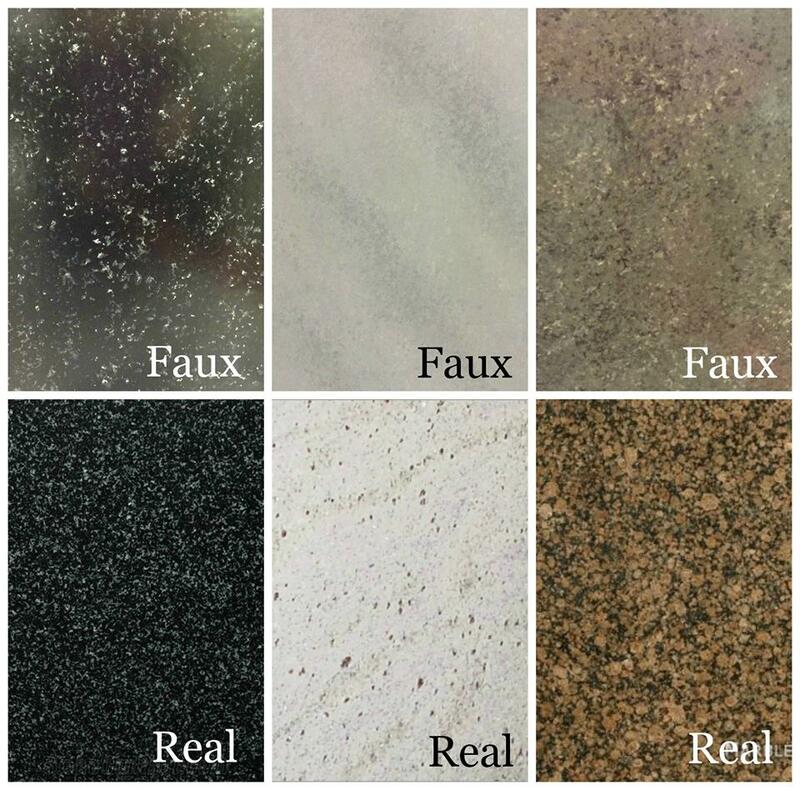 Don’t expect it to cover over the colour of your existing counter top. Its one and only job is to really stick to the surface. Allow to dry for 3-4 hours. 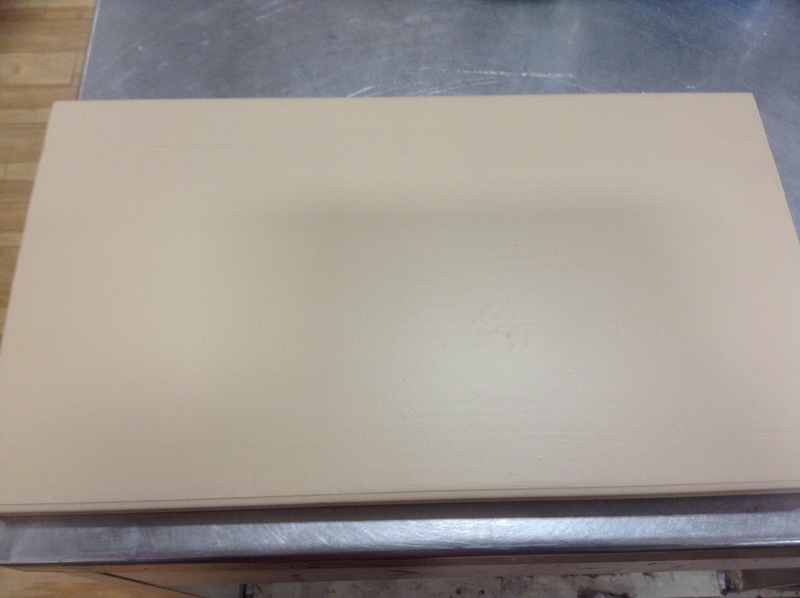 Step 5: Paint base colour: Using the quart or left over paint from your home, paint the entire surface with the base colour. You will only need to paint one coat of this because we will be covering a lot of it up anyways. Allow to dry for 3-4 hours. Allow to dry for 8 hours. This is a very important step, because we are layering on the paint really thick with sponging, we need to allow it extra time to fully dry. If you rush this step, the final project will be soft and easily damaged. Step 7: Clear Coats! The more clear coats you put on the better. I wouldn’t go any less than 3. I did 3 myself and its working great! I used a 6mm microfiber 4″ roller, which applies the clear coat really nicely. Allow to dry 8 hours in between coats. Lightly sand in between coats to ensure a smooth finish. Allow 24 hours before light traffic and 3 days before regular use. Sorry my camera wasn’t the best, it kept picking up the glare from the clear coats. Last but not least… ENJOY!! * Keep in mind, this is not a food safe coating. So use a cutting board when doing your food prep! Did you know that arborites, granites, quartz and all other counter tops aren’t food safe either!